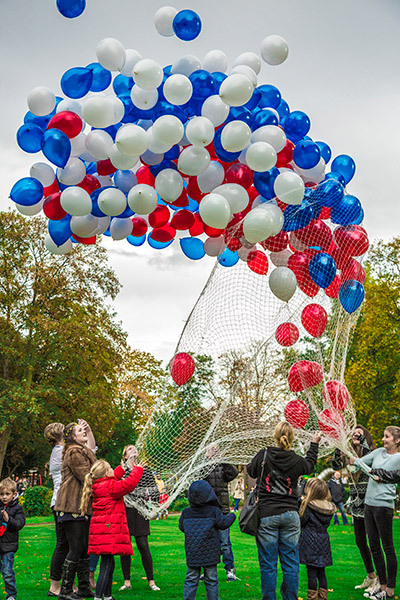 MEMBERS of SSAFA’s Bereaved Families Support Group have released hundreds of balloons in memory of loved ones lost through military service. The act of remembrance took place during a special memorial service at Loughborough’s Carillon and War Memorial earlier this month, which also saw the families lay a wreath and children lay special artwork they had created. The national meeting brought together more than 200 family members who have lost loved ones both in conflict and through accident or illness; the group gives families the opportunity to meet others in a similar situation and support each other. Helen Perry, the chair of the group, lost her son, Lance Corporal Michael Pritchard, in Afghanistan in 2009. She said: “The group is a vital source of support for families. Often it is only those who have been through similar experiences who really understand how you feel. “We can help and support each other through the grieving process. With British troops preparing to leave Afghanistan it is important that we remember those who won’t be coming home.